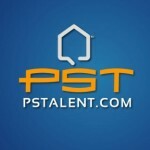 PSTALENT.COM, A California Limited Liability Company (“PS Talent Agency / PStalent.com”) acts only as a gaming venue for members “actors or models” to socialize in a webchat environment and does not truly offer modeling, acting or production positions to any of its members, in any way, shape or form. 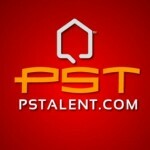 PS Talent Agency is not and shall not be considered an employer or agent with respect to your participation to this site. We do not “hire” models, actors or production crew. We do not “pay” models or actors or production crew and we are not obligated to do so. Acceptance of these terms acknowledges your clear understanding of this opening statement. If you do not agree with this opening statement, please exit this site now. The terms, “PLAYSTATION®”, “PlayStation®”, “PS3®”, “PSP®”, “PS one®” and “Sony®” are registered trademarks or service marks of Sony Computer Entertainment, N.A. The PlayStation®HOME logo is a registered trademark of, and used under license from, Sony Computer Entertainment, N.A. Our sites include a combination of content that we create, that our partners create, and that our users create. All materials published on our sites, including, but not limited to, written content, photographs, graphics, images, illustrations, marks, logos, sound or video clips, and Flash animation, are protected by our copyrights or trademarks or those of our partners. You may not modify, publish, transmit, participate in the transfer or sale of, reproduce, create derivative works of, distribute, publicly perform, publicly display, or in any way exploit any of the materials or content on our sites in whole or in part. If you would like to request permission to use any of the content on our sites, please review our copyright notice page. You are solely responsible for all materials, whether publicly posted or privately transmitted, that you upload, post, e-mail, transmit, or otherwise make available on our sites (“Your Content”). You certify that you own all intellectual property rights in Your Content. You hereby grant us, our affiliates, and our partners a worldwide, irrevocable, royalty-free, nonexclusive, sub-licensable license to use, reproduce, create derivative works of, distribute, publicly perform, publicly display, transfer, transmit, distribute, and publish Your Content and subsequent versions of Your Content for the purposes of (i) displaying Your Content on our sites, (ii) distributing Your Content, either electronically or via other media, to users seeking to download or otherwise acquire it, and/or (iii) storing Your Content in a remote database accessible by end users, for a charge. This license shall apply to the distribution and the storage of Your Content in any form, medium, or technology now known or later developed. 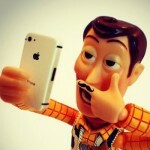 Our site contains content that we create as well as content provided by third parties. This content includes, among other things, magazine subscriptions, editorial layouts, and headshots, resumes, comic strips, video commercials and film production. It also includes information about products and services offered by parties other than PS Talent Agency, such as product descriptions, specifications, pricing, availability, and performance. We do not guarantee the accuracy, the integrity, or the quality of the content on our sites, and you may not rely on any of this content. Without limitation, we are not responsible for postings by users in the user opinion, message board, or feedback sections of our sites. At this time, there are no fee-based services. However, we maintain the right to introduce services if any, at anytime in the future. Some of those Services may require you to pay a fee, as described in the specific conditions included where those Services are offered. You agree to pay all fees and charges that you incur. Unless otherwise noted, all currency references are in U.S. dollars. We may, upon notice if required by applicable laws, at any time change the amount of, or basis for determining, any fee or charge, or institute new fees or charges. All fees and charges are payable in accordance with payment terms in effect at the time the fee or the charge becomes payable. The technology and the software underlying our sites and the Services is the property of PS Talent Agency, our affiliates, and our partners. You agree not to copy, modify, rent, lease, loan, sell, assign, distribute, reverse engineer, grant a security interest in, or otherwise transfer any right to the technology or software underlying our sites or the Services. You agree not to modify the software underlying our sites in any manner or form or to use modified versions of such software, including (without limitation) for the purpose of obtaining unauthorized access to our sites. Unauthorized access to our sites is a breach of these Terms and a violation of the law. You agree not to access our sites by any means other than through the interface that is provided by PS Talent Agency for use in accessing our sites. You agree not to use any automated means, including, without limitation, agents, robots, scripts, or spiders, to access, monitor, or copy any part of our sites, except those automated means that we have approved in advance and in writing. Requests to remove certain content from our sitesIf you believe that content you own has been copied and made accessible in a manner that violates your intellectual property rights, please review our copyright notice. We disclaim any responsibility for the deletion, the failure to store, the mis-delivery, or the untimely delivery of any information or material. We disclaim any responsibility for any harm resulting from downloading or accessing any information or material on the Internet using search results from our sites. We disclaim any responsibility for, and if you subscribe to one of our fee-based services you will not be entitled to a refund as a result of, any service outages that are caused by our maintenance on the servers or the technology that underlies our sites, failures of our service providers (including telecommunications, hosting, and power providers), computer viruses, natural disasters or other destruction or damage of our facilities, acts of nature, war, civil disturbance, or any other cause beyond our reasonable control. PS Talent Agency or it Parties may elect to resolve any controversy or claim arising out of or relating to these Terms or our sites by binding arbitration in accordance with the commercial arbitration rules of the American Arbitration Association. Any such controversy or claim shall be arbitrated on an individual basis and shall not be consolidated in any arbitration with any claim or controversy of any other party. The arbitration shall be conducted in Palm Springs (Riverside County) California, and judgment on the arbitration award may be entered in any court having jurisdiction thereof. Either you or we may seek any interim or preliminary relief from a court of competent jurisdiction in Palm Springs (Riverside County) California, necessary to protect the rights or the property of you or PS Talent Agency. (or its agents, suppliers, and subcontractors), pending the completion of arbitration. We may be required by state or federal law to notify you of certain events. You hereby acknowledge and consent that such notices will be effective upon our posting them on our sites or delivering them to you through e-mail. You may update your e-mail address by visiting the Services where you have provided contact information. If you do not provide us with accurate information, we cannot be held liable if we fail to notify you. You have the right to request that we provide such notices to you in paper format, and may do so by contacting or legal department at Levi Vincent Productions, legal@levivincent.com. These Terms, including all terms, conditions, and policies that are incorporated into these terms by reference, constitute the entire agreement between you and PS Talent Agency and govern your use of our sites, superseding any prior agreements that you may have with us. These Terms shall be construed in accordance with the laws of the State of California, and the parties irrevocably consent to bring any action to enforce these Terms before an arbitration panel or before a court of competent jurisdiction in Palm Springs (Riverside County) California if seeking interim or preliminary relief or enforcement of an arbitration award.